A murder sentence in the case of a West St. Paul teen who stabbed another teen to death has been delayed. 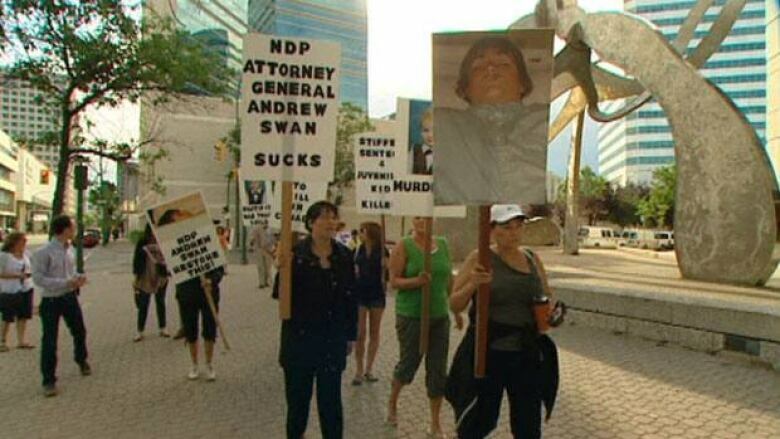 Friends and family of Seth Ottenbreit rallied outside the Law Courts building on Thursday, demanding a stiff sentence for his killer. Seth Ottenbreit, 15, died in September 2009 after suffering a single stab wound to the chest after an argument inside a home in the community of West St. Paul, just north of Winnipeg's city limits. Ottenbreit was an acquaintance of the other teen, who was 16 at the time and therefore cannot be identified due to provisions in the Youth Criminal Justice Act. The teen later admitted to killing Ottenbreit in an argument and pleaded guilty to second-degree murder. As a youth, he faces up to four years in custody and three more years of supervised probation. But Manitoba Justice officials want him sentenced as an adult, which would mean an automatic life sentence with no chance of parole for at least seven years but as many as 25 years. The sentencing was slated to happen Thursday morning at the Law Courts in Winnipeg but the judge said he still needs a transcript of some evidence and is not ready to make a decision. The sentencing has been rescheduled for September. Some of Ottenbriet's family and friends gathered outside the courthouse Thursday morning, carrying placards and calling for stiffer penalties for juvenile offenders. 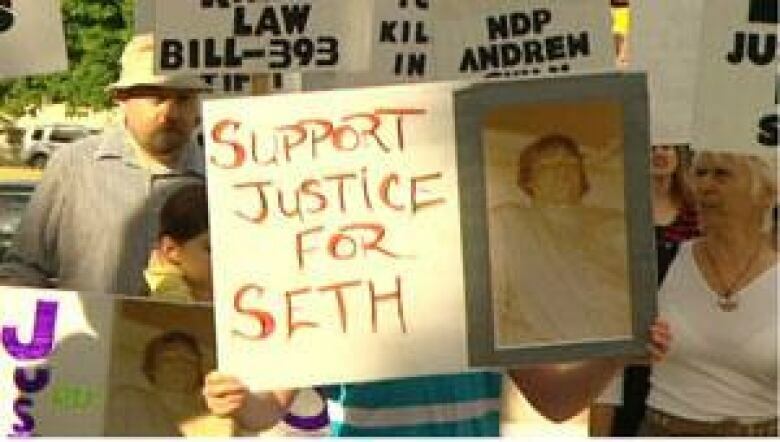 They carried signs urging "Justice for Seth" and photos of Ottenbreit lying in his casket.